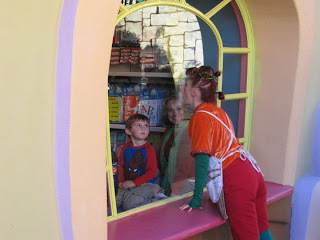 Yesterday, we went to Islands of Adventure and Univesal Studios. It was a fun 10 hours!! 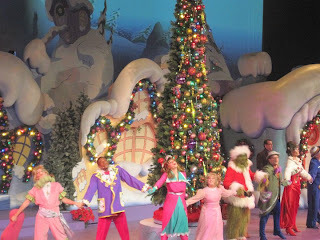 The kids really loved the "Dr Seuss" world which was decked out for the holidays with the Grinch and the Who's! The Grinch was mean and nasty. He told the kids to "Shut up", they thought it was funny. Do you recongize Allyson and Dave?